Sony supports console cross-play these days, but it is starting to feel like there needs to be an asterisk at the end of that sentence. While it opened up the PlayStation Network to both the Xbox One and Nintendo Switch last year in Fortnite, it claimed that the functionality was in “beta”. There’s been no update on how that test is progressing, and while Rocket League has since been added to the programme, there are currently only two titles with console cross-play on the PS4. There are some who feel that the platform holder is using the “beta” as a cover to pick and choose which titles it wants to support the feature, and it sounds like developers are getting restless. 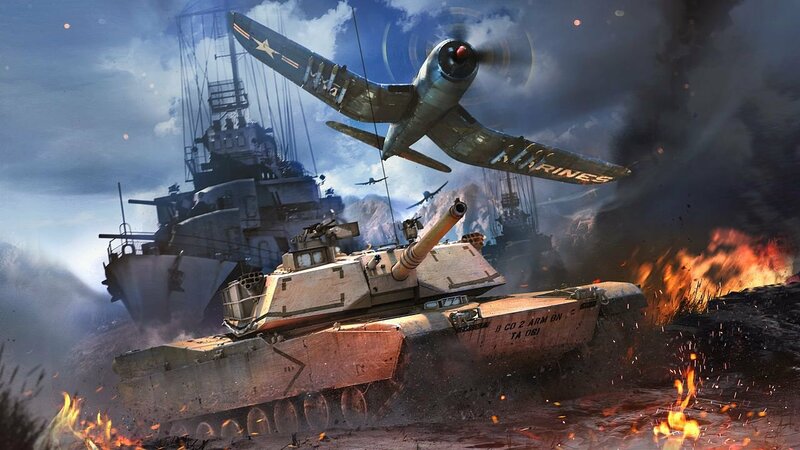 Gaijin Entertainment, the team behind War Thunder, is the latest to speak out, posting a video on its Twitter account publicly asking Sony to explain its stance. It’s all a bit unprofessional, but we’re going to give the Russian company the benefit of the doubt and assume it’s already been in contact with the Japanese giant behind the scenes. It is a weird one because when the Fortnite “beta” was announced, the PlayStation maker used language to suggest that other games would be added, but it doesn’t really appear to be happening very swiftly. On the other side of the coin, though, we’ve seen conversation around console cross-play all but dry up since Sony changed its stance, suggesting that a lot of the outrage may have been manufactured by people searching for a stick to beat the company with. Perhaps conversation dried up because people started assuming that cross-play with Sony’s machine would be a swift transition once announced. I actually didn’t realize only two games have been supported since the original announcement. I guess this goes to show just how isolated Sony has made it’s online platform - since it seems like cross-play on other platforms just switched on (no pun intended), while work to integrate Sony into the mix is proving to be more troublesome. Anyways, it’s an interesting story to follow. I wonder if other developers of these free-to-play titles will jump on the “we want answers” bandwagon. Does anybody even play this? It’ll be interesting to see if they talk/push it once the PS5/Xbox2 marketing gets going. They’re going to want to retain as many customers and try to get xbox ones to jump so telling ppl their currently library will still work plus they can now play with friends on any platform that seems like a surefire path to success. The feature is in "beta" for a reason. Sony will take their time, plus name changes haven't come in yet so that's more likely to happen first before much more cross play games are added. I don't know if I would use "First free-to-play title" as a proud achievement, especially since a lot of free to play games are usually full of micro-transactions, loot boxes and mixed with grindy gameplay. Anyways the topic at hand, Sony will get around to it when they get around to it. Fortnite makes sense since so many people play it and the fans were really getting on their case about it. But a plane game from 2009? I doubt they'll get much traction with the Japanese giant. Microsoft is pushing live so they can kill of the consoles en push it all on their Windows platform. Cry babies. Don't like it then go elsewhere. it's not sony's job to keep an ailing playerbase alive on other platforms. I really love how everyone(here) seems to be defending Sony while the company sees them as a piggy bank. @Stragen8 cross play will never be a system seller for most people. If it was, then way more companies would have caught flack like Sony did. This game is practically irrelevant across all platforms... this is for publicity. 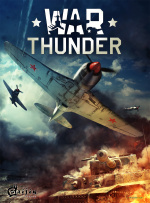 Good on the developers of War Thunder. This title is fairly popular, based on my Google research. I'm saying it again, Crossplay is where the industry is going. Outside of this fanboy-filled, Sony garden, many people love this idea. It'll be amazing when one day, we can play many big AAA 3rd party games with friends, regardless of which system and copy of the game they have. Stop dragging your feet, Sony. You can do better. Greatness does await, after all. @EVIL-C I rather play quality firstparty games but thats me. @Cutmastavictory Idk, I can see a lot of ppl that currently have Xbox not wanting to switch because they want to play with their friends. Now, if they can play with them on any system, why wouldn’t they go with PS if they have interest in the exclusives? Obviously not all gamers care about GOW and the like, but still, I could see it being something people take into consideration, I know I wouldn’t own multiple consoles like I do this gen for that reason. @Stragen8 I can see that scenario, but I doubt most adult gamers face that situation. @Evil-C I'm surprised you stick around in this "fanboy-filled Sony garden" Sony aren't dragging feet. The bloody feature is in beta, it takes time. I still don't think Cross-Play is anything above a peripheral feature at best, and that's coming from someone who isn't against the idea. I'm expecting Cross-Play wars to replace console wars at this point. Why do people get so bent out of shape about it? What with one of the Metro devs having a bit of a whinge at the PC crowd a few days ago, it seems there's something in the water in Russia. 1st party? Completely irrelevant to this topic. You'll never see Uncharted on Switch. You'll never see Pokémon on Playstation. Full stop. If you hate all 3rd party multiplayer games, then that's your choice. Some of us have friends who like to game online, such as myself. PS is my second favourite platform, behind Nintendo. I love many of Sony's titles, I buy most multiplat games on PS4. The hardware is great, but Sony is falling behind on features and services that certain competitors have, IMO. I just want to see them exceed the competition, which in turn will push the others to exceed that, so the cycle continues, which benefits us. @EVIL-C But i really dislike 3rd party multiplayer stuff. My friends dont play games and i love a good story. And i rather see a good new Killzone or Resistance then any of the new big titles triple A 3rd party stuff. I do have to play with random people though. Killzone 3 and Resistance 3 both Platinumed i loved them. Firstparty and quality and multiplayer plus a storymode. The fact the talk about crossplay only comes up when someone is complaining and went away the moment crossplay was enabled for Fortnite say all you need to know. If it was a REAL issue it wouldn't go dark for months. The fact that no one realized how few crossplay games there actually are show how much they actually cared about it. Well..., alright. Honestly, I'm sorry there doesn't seem to be third party multiplayer experiences you find enjoyable. I feel a bit compelled to try and recommend something to you that you might like. Fortunately for me, my friends are all gamers. I seem to have trouble connecting to people who aren't, lol. I'm really sorry none of yours are. @EVIL-C why are you here then if it is a fanboy garden? & out of interest what is it Sony is falling behind on? @EVIL-C You dont have too explain yourself its what you prefer. I just dont care about that crossplay stuff the meltdown was all about Fortnite and now nobody cares anymore. Singleplayer i great fun there is a big playerbase plus most multiplayer games are dead in the water the second a new part arrives. @David187 Because I like Playstation, for one. Crossplay is the biggest elephant in the room. There's nothing new (yet) to add to that. I dislike how Sony has treated backwards compatibility, disregarded their classic library in terms of offering less and less for sale. Users not being able to play PSN games from PS3 on PS4, which ties into BWC, and I'm disappointed with PS+ in terms of perks vs cost. PS Now used to be an absolute joke. To their credit, the new download option has improved it. Being a fan doesn't mean one can't be objective and question things. Questioning thing thing doesn't necessarily indicate a lack of affection or enjoyment, either. "Is this really better?" "Does someone else provide a better alternative?" And even if the thing you're using is objectively the best, it's alright to ask "can it be improved even more?" @EVIL-C I disagree you sound a tad harsh imo agree to disagree I guess.